Is your DAVO stamp album getting too full? If you insert supplement pages in your stamp album, over the course of years, your stamp album may be getting too full. For all DAVO stamp albums you can always purchase an empty binder of the country you're collecting. 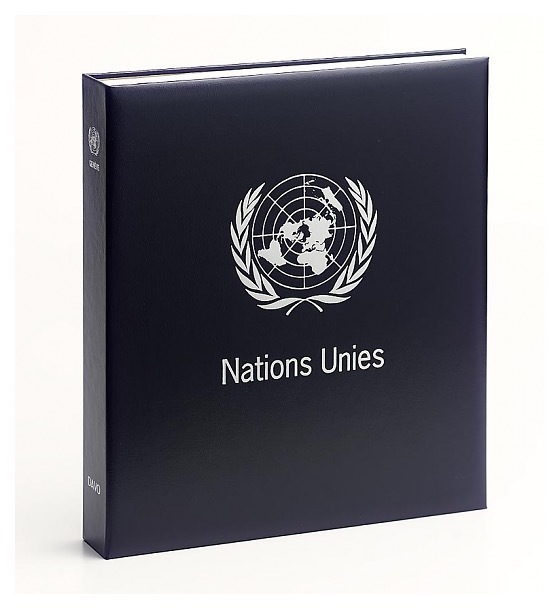 This luxurious binder bound in navy blue and embossed with the national crest of the country on the cover and spine is presented in its own matching slip-case to keep the binder in pristine condition.